Kidnapping. Killing. First California’s insanity plea. Hollywood and its desperate but successful attempt to not let people realize that sometimes violent movies can cause a certain level of disturbance in a troubled mind than can lead to a gruesome crime. David Wilson has written an excellent book that talks about the murder which occurred in 1927, but when you read the book, you will see there is not much difference between 1927 and 2016. Nothing obviously has changed, and little effort were spent to ensure that there will not be another person like William Edward Hickman to ever exist… Is there any cure for madness…? Is there any way we can reduce the amount of crime that happens around? Not Just Evil will give you an extravagant, exquisite and unique perspective to consider the world we all are fascinated about. During my long phone interview, Mr. David Wilson, a retired detective, and now successful writer had greatly explained the reasons why he had written his book and its importance for all of us to see the world from a whole different perspective… a perspective, many would not like us to see…. MOVIEMOVESME: You are a retired detective and must’ve heard of a lot of gruesome crimes. What drew your attention particularly to this crime? David Wilson: Actually, it was my brother who started filmmaking and maybe about five years ago, he started researching it and showed me the case. He really sparked my interest. I think it’s an important story. MOVIEMOVESME: The research you’ve done is amazing. Can you talk about the process? David Wilson: The transcripts involved writing to Sacramento, the capital of California that had those transcripts on file. It took some time to get those paperwork, maybe seven to eight months and then to read through them. My brother knew the history so he came and guided me with reference books to get hold of the history. The reason Hollywood was interested is because the film industry at the time was horrified because they were under pressure after a bad fire where 200 kids were killed as a result. There was also pressure and censorship and the addiction shown in films was not helping them. MOVIEMOVESME: Hickman said that he was kind of inspired by watching the films to commit the crime. Do you think films have that sort of an affect? David Wilson: That’s the fundamental question of the book. As a writer, I don’t necessarily answer the question but I certainly present enough information that people can maybe talk about and think. I would even say in modern times the influence of reality TV is almost insidious. So, those are serious questions that I think kind of should be looked at and discussed and maybe even examined from a psychological point of view. MOVIEMOVESME: Based on your understanding, what makes someone as intelligent as William Hickman commit such an inhuman crime? David Wilson: I think there are different motivations. In his case, he grew up in a repressive and violent setting. I certainly think that in his case it gave him a sense of power and control. His initial inclination to be a criminal was probably based on the need for money. He was living in a fantasy world, not dealing with the pain and suffering caused by his own things. MOVIEMOVESME: District Attorney Hayes was a pretty corrupted man who did a great job at presenting Hickman as a sane person who know what he was doing. How much did MGM or Hollywood or even the Mayor contributed to show someone like Hickman as sane? David Wilson: That’s probably the second question the book asks. Insanity is defined as the ability to distinguish between right and wrong and was established in the English case law by the English President maybe a hundred years ago, It had not been applied in court as a defence in California but if the defendant wanted to claim insanity he had to first admit that he committed the crime. In most criminal chases the prosecutor has to prove the facts and the defence has to prevent the facts in the case. What happened during the trial was that HIckman only had the opportunity to be examined by one defence doctor who during the trial undermined his own testimony. So, the legal definition of what’s insane and what psychologists would say in terms of analyzing a person’s inability to deal with reality is a grey area. There were also political motives to the defence, which could be argued, may not have had played their part either because of conflicting agendas. MOVIEMOVESME: Since then how much have psychiatrists given space to defendants to plead insanity to bypass conviction? David Wilson: That’s really the key issue here. Hickman was clearly delusional and was addicted to movies. But at the same time there’s strong evidence that he was conscious enough to understand that it was a possible defence and that he needed to act apart. But the real question is that was he conscious of that at the time when he committed the crime. Because there was so much distortion and political pressure in the trial itself, that question never really got asked. MOVIEMOVESME: Now there’s a society that demands a final verdict, not even jury. David Wilson: For me who’s been a working legal professional for years, what you have is the undue influence of media on the court system. The judicial system needs to be sufficiently free from most kinds of pressure. People are being deemed guilty even before going to trial. MOVIEMOVESME: One of Hickman’s statements goes, “The acts of crime which were done by my own hands cannot be held accountable in my own mind but were intended for me by another presence to show the adverse abnormal American social environment today. The tendency for certain unfortunate American youth to become enemies of the society because they were classified as criminals because they do not understand them and each other.” How true do you think this statement is today in 2016? David Wilson: I think that Hickman had an addiction to films that said his delusion that he was chosen as a special person by God. It was a slipslide of his deep insecurity of constantly being verbally abused by his parents. If you’re chosen to do God’s work, you kind of take yourself out of the hole of ethics and morality. Historically in issues of racism and sexism and homophobia, in almost all these they said the name of God. In Hickman’s case the idea of being chosen by God, to him it justifies his actions. Hickman certainly didn’t start that trend, it is a clear manifestation of not having real adult guidance and structure and role modeling. 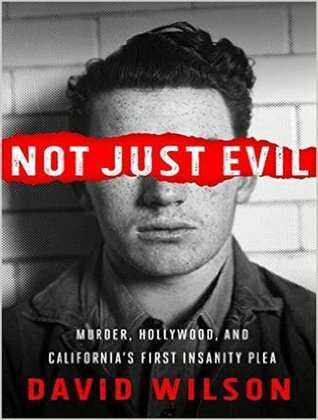 MOVIEMOVESME: Hickman said prior to his execution that he didn’t want anybody to study his crime. He also said publicity should not be given to criminals like him but men and women who deserve it more as it may influence future potential killers. Do you think he was able to predict the future scenario? David Wilson: I think he wasn’t as confused as he was. MOVIEMOVESME: What message do you want to send out via this book? David Wilson: When you have a legal system based on a novel document, that’s a very good thing, but if you allow that system to become corrupted by political, social or economical agendas of any kind, you really diminish the ability of people to treat each other fairly, which can lead to a serious undermining of culture in general. The message for me is it’s best to keep those influences away from the justice system and to really engage in the process of judging punishment in a way that’s objective, helpful and fair. Also, the ability or the inability to take responsibility for your decisions is what distinguishes you whether you’re a child or an adult. The phenomenon of a child in an adult body is known in psychology.